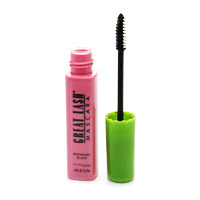 The Beauty Buff Blog: Troy Surratt Lends His Expert "Eye"
After doing a story on mixing mascaras (an easy way to get a fake eye lash look) I was asked by a reader which mascaras work the best for lengthening and thickening. With so many products on the market, it's easy to get overwhelmed by choices. When it comes to framing our peepers all we want is to uncover the hidden jewel that's going to miraculously turn our pupils into the well-displayed pieces of art they are. Right? So, I enlisted the help of celebrity beauty guru and former Maybelline New York Global Consulting Makeup Artist, Troy Surratt. Not only does he have a serious resume under his belt (working with makeup legend Kevyn Aucoin, helping launch the beauty brand, Tarte and acting as a spokesperson for Beauty.com) but he's also a total doll who gave me fabulous tips and insights. His Rolodex (if they still made those) isn't too shabby either. It's chock full of celeb clients like Zooey Deschanel, JLo, Kerri Russell, Freida Pinto, Leann Rimes, Charlize Theron, Hilary Duff, and frequent collaborator, Ashlee Simpson-Wentz. Surratt, who considers himself a "lash fanatic", zeros in on his favorite tubes for seriously Va-Va-Voom lashes. "Maybelline Great Lash Mascara" gives you great volume and a super natural, bold lash", he says. 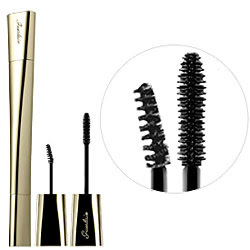 For length he goes for the perennial favorite, Lancôme Defencils because of how well it "defines each lash". 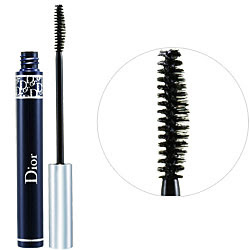 Another must have is DiorShow Unlimited because of the large wand and how fast and easy it is to use without smudging or clumping. He's a big believer in framing the top and bottom lashes. Surratt loves Le 2 de Guerlain Mascara. 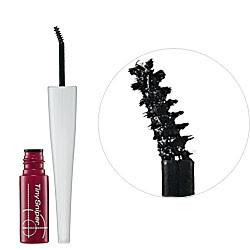 The double-sided tube has one wand that curls, lengthens and thickens and a smaller brush that catches the tiny hairs in the inner and outer corner. The secret weapon, however, in his beauty arsenal remains the Imju Fiberwig Tiny Sniper. This best-selling Japanese line recently came to States and is a favorite among experts. It's known for giving "false eyelash-like results" with its specially designed brush, ultra fine-angled head and easy to hold grip. It also makes application precise and smudge-free. Surratt suggests, however, adding a few other tools and tricks to create an eye-popping appearance. In fact in his "mascara wardrobe" he always keeps the finest eyelash curlers, lash combs, individual fake lashes and primers. Basically if Troy was caring for your eyes, they'd be sitting in first class, eating caviar in silk airplane pajamas. 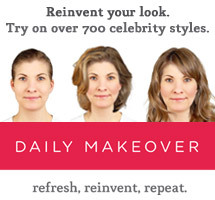 The makeup maven gives me the low down on the step-by-step method he employs to transforms his Tinseltown leading ladies. Comb lashes out using a Tweezerman Lash Comb. This separates and untangles lashes. 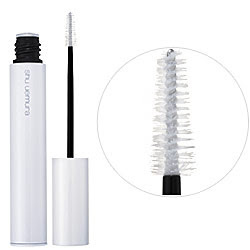 Then, swipe on a conditioning primer like Shu Uemura Lash Repair. The creamy solution can be used as lash fortifier to prevent future damage, an overnight treatment to create fuller strands or a primer. Surratt is curl crazy and with good reason. He compares lashes to a visor for the eyes that stick out from the lids and cover your iris. When you curl the brim of the visor up you increase the light that reflects on them. The bigger your eyes look, the whiter the whites seem and the more defined your iris appears. The more flipped out your lashes are, the larger and more sparkly your eyes appear and the more alert and awake you look. He says that when people skip curling they automatically foreshorten their lash length 2-3 times less than what they could look like. 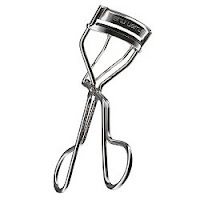 Surratt swears by the Shu Uemura Eyelash Curler, which has won countless beauty awards. The beauty staple's silicone pad in its "mushroom" shape makes curling effortless according to Surratt. When applying mascara, make sure the ink is being evenly distributed along the lash line and there are no gaps. 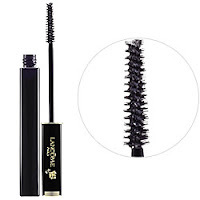 Coat your lashes 2-3 times with mascara and make sure you work the wand root to tip. 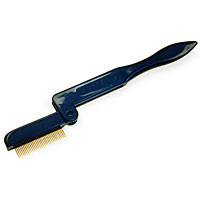 Before your lashes dry, separate and define them again using the lash comb to ensure an even distribution. Use a smaller brush (like Imju Fiberwig Tiny Sniper) on your lower lashes and on the inner and outer corners to mask the tiny hairs (coating these barely there hairs truly make a huge difference on the overall look). Add individual false lashes to create a glam look. Start on the outer corner with short lashes and work your way across the upper lash line, stopping when you get close to the tear duct. For doe eyes, (think Zooey Deschanel in Elf) add medium individual falsies to the mid-eye right above the iris. The eyes look bigger and brighter and the variation in length of falsies creates an optical illusion of full, bright eyes. So, if you're one to play up this area of your face, go ahead and invest in a few tools and tubes and follow Troy's expert advice. Thanks Troy! Great tips! I tried curling my eyelashes for the first time after reading this and it really does make a HUGE difference! I live in a small town in Sasnak where fashion is under appreciated. People still dress like it's the 1980's. While I love the clothes and hair from this era my makeup could use some help. Is it o.k. to use a Z-iron to make spiral curls? My friend and I want to settle a dispute: is the "bob" haircut "in", "out", or going to come back "in"? Thanks, Ferina K. and Shelly D.
Dear Mr. Surratt, I have noticed that you are looking hotter than ever!! Can you comment on the glasses I have seen you wearing in recent celebrity photos? Are they available at Macy's? I hear you are from the midwest. Have you ever shopped at the West Ridge Mall? Friends! Thanks for the comments. I'll pass these along to the fabulous Mr. Surratt!